​Extending from the Dempster Highway, the new Inuvik-Tuktoyaktuk Highway (officially opened in November 2017) provides Canada's first all-weather road to the Arctic coast. ​Famous for canoeing, the Thomsen River is considered the northernmost navigable river on the planet. It flows northward through Aulavik National Park before emptying into the Arctic Ocean. ​Most of the world's muskoxen (around 68,000) live on Banks Island, outnumbering the island's human population 600 to 1. ​Home to a variety of species, including caribou, raptors, wolves, grizzlies and muskoxen; this beautiful yet remote park sees very few visitors. It's most photographed landmark is La Ronciere Falls. ​Our Lady of Victory Church, often called the Igloo Church, is located in Inuvik and is one of the North's most iconic buildings. ​The NWT is home to Canada's only free-ranging herd of domesticated reindeer. 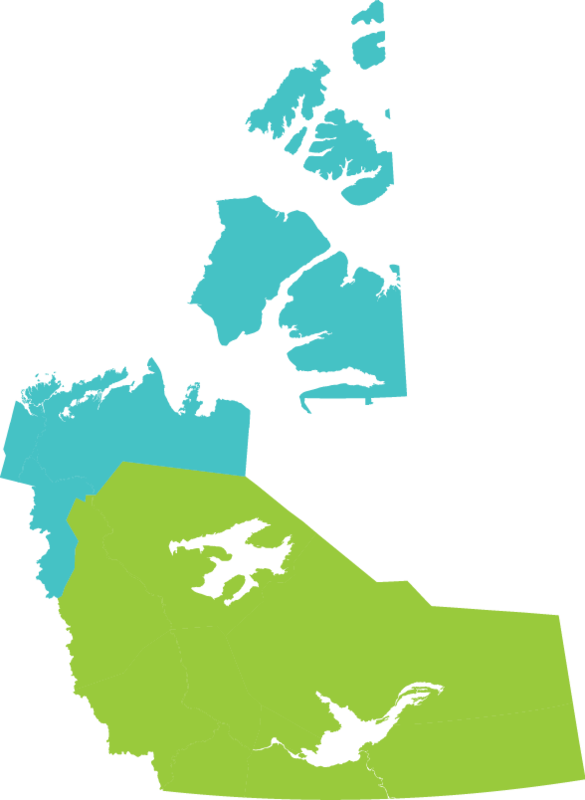 A population of around 3,000 roam the tundra north of Inuvik. ​"Pingo" is an Inuvialuit word for "small hill". These earth-covered icy mounds are scattered across the Arctic coast and can be as big as a football stadium. ​Every year, the town of Inuvik celebrates the sun's return after nearly a month of darkness between December and January. In turn, the region enjoys long bright days during the summer months.